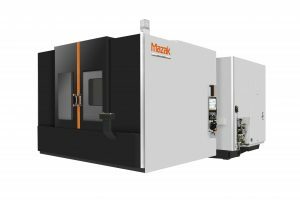 The MEGA Series of super high-torque horizontal machining centers make the heavy-duty machining of tough materials from steel and cast iron to Inconel and titanium extremely efficient, accurate and productive. 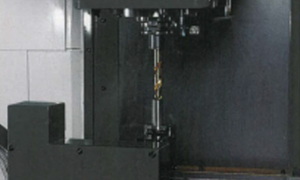 The machines feature wide machining areas for accommodating large, heavy workpieces. 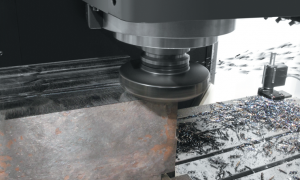 The spindle with a top speed of 6000 rpm delivers unsurpassed performance over a wide variety of production requirements. The length of tools, such as drills and taps, are automatically measured by the tool measuring unit mounted at the side of the machine table. 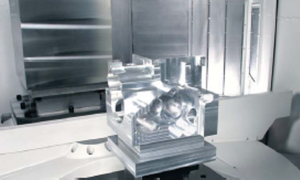 The same unit can inspect a tool for breakage immediately after its machining operation is completed. If any breakage is detected, that tool will no longer be used and will automatically be replaced by a spare tool mounted in the machine magazine.